Eastern Point, Gloucester, Massachusetts resident Katherine Coakley has had a lifelong affinity for art. About 15 years ago she picked up a paintbrush for the first time experimenting with watercolor and acrylics. Later, she took up oil painting, concentrating on the landscapes of scenic Cape Ann locales. 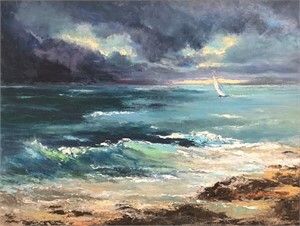 In the winter, Kathy continues her passion for warm weather landscapes, painting in her studio in Miami Beach, Florida. She has studied at the South Florida Art Center in Miami Beach. In New England Kathy has studied with numerous Cape Ann artists. One of Kathy's greatest pleasures is painting the beauty of the world when traveling. Kathy creative process is continually evolving and she enjoys trying new techniques to keep her perspective fresh. Most recently, Kathy has been experimenting with more abstract designs and is relishing a new found method of expression. A Colorist at heart and sometimes called a Fauvist, she boldly wields her paint and brush. Viewm more of Kathy Coakley's Paintings on our online marketplace. 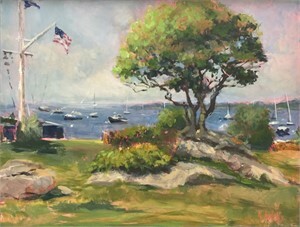 Katherine Coakley Eastern Point, Gloucester, Massachusetts resident Katherine Coakley has had a lifelong affinity for art. About 15 years ago she picked up a paintbrush for the first time experimenting with watercolor and acrylics. Later, she took up oil painting, concentrating on the landscapes of scenic Cape Ann locales. In the winter, Kathy continues her passion for warm weather landscapes, painting in her studio in Miami Beach, Florida. She has studied at the South Florida Art Center in Miami Beach. In New England Kathy has studied with numerous Cape Ann artists. One of Kathy's greatest pleasures is painting the beauty of the world when traveling. Kathy creative process is continually evolving and she enjoys trying new techniques to keep her perspective fresh. Most recently, Kathy has been experimenting with more abstract designs and is relishing a new found method of expression. A Colorist at heart and sometimes called a Fauvist, she boldly wields her paint and brush. 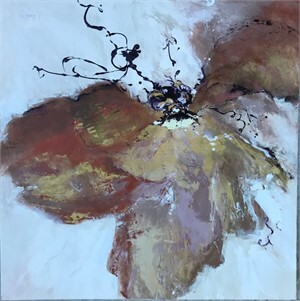 Current Memberships Copley Society of Art – Member SeArts – Member Rocky Neck Art Association – Member North Shore Arts Association – Member Rockport Art Association and Museum – Associate Member Viewm more of Kathy Coakley's Paintings on our online marketplace.